Recently I dealt with a vendor who made some mistakes on a product that was delivered to our office. Upon discussing the issue with one of the company’s employees, I was told that I would receive a refund for the incorrect work, but was being discouraged to have the work corrected by them and to go elsewhere. This was puzzling because I simply asked for them to fix the product without being demanding, rude, or disrespectful. I came to find out that the owner told his employees that they would have to discourage me from getting the product fixed or the supplies for the fix would come out of their own pay, which was hundreds of dollars. Granted, that is one potential strategy for handling an employee mistake, but not one that I myself would use nor recommend. 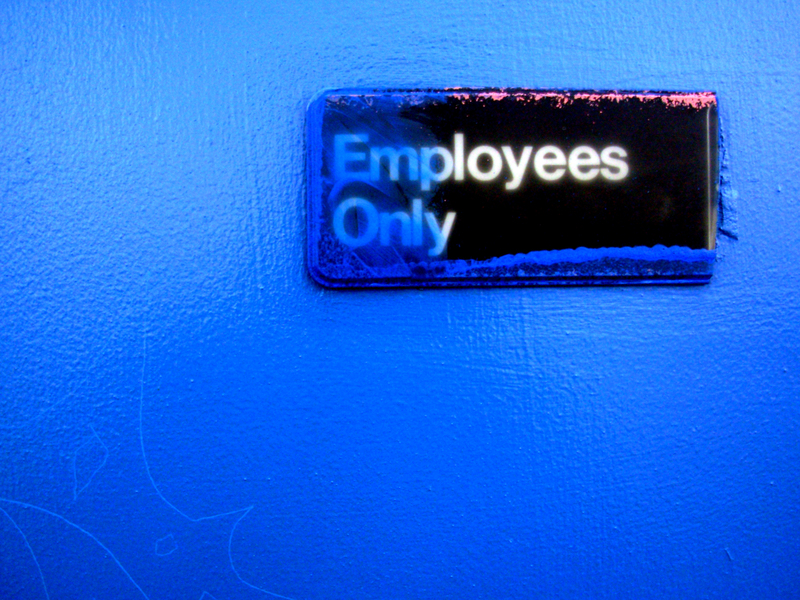 Build in Room for Employee Mistakes – Always assume that your employees are going to make mistakes. Set the parameters for the goals of a project or task, and allow them to do it. Guide them in how to prevent mistakes from occuring with whatever project they have been given. Anticipate Common Mistakes – You can better prepare employees to minimize mistakes by envisioning those common problems that arise for staffers in your organization. Give them the resources and training in order to overcome those typical problems. Do Not Set Up an Employee for Failure – Delegate tasks with the proper levels of authority for the employee given the assignment. As the supervisor, you are the one who should have sound judgement as to who can handle what. Challenging employees is fine, but do not play games by setting up someone to fail to prove a point for whatever reason you may have. Provide Thorough Training – The more employees know how to do their jobs, the better. Employees should always know the mission and goals of your organization. This is important because they become guiding principles for your staffers, which help them when faced with various decisions. This can be accomplished through regular staff training. Skills building through training is paramount. Reward Accuracy – Staffers who achieve success by accomplishing tasks as assigned should be rewarded. This can be as simple as saying “Thank you” or acknowledging their accuracy during supervisory meetings or even publicly during staff meetings. This entry was posted on Monday, November 12th, 2012 at 9:00 am and is filed under Human Resources, Leadership, Staff Development & Training. You can follow any responses to this entry through the RSS 2.0 feed. You can leave a response, or trackback from your own site.